The Publications Committee of the International Institute for Mental Health Research wishes to express its thanks to the editor of this volume, Dr. Stefan de Schill. 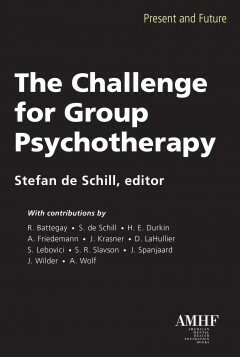 The search for and investigation of new ideas and different approaches has led Dr. de Schill to undertake the work necessary to assemble the papers of this book, hoping that mental health professionals all over the world will be stimulated to fresh thinking and more effective service to the emotionally ill. It was my privilege to witness the brilliant, always carefully thought-out ways in which Dr. de Schill, in his capacity as Director of Research of the American Mental Health Foundation, explored and experimented with the innumerable facets of individual and group psychotherapy, constantly seeking better theoretical formulations and techniques.